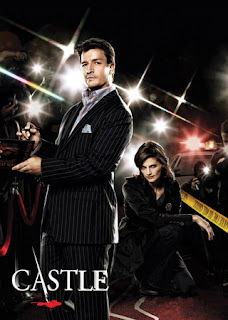 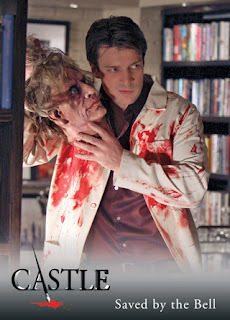 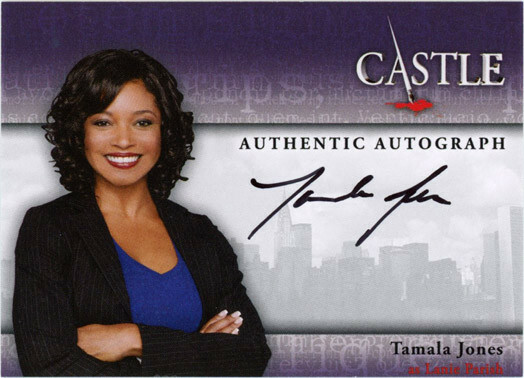 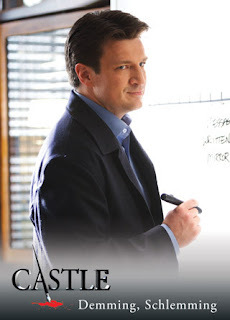 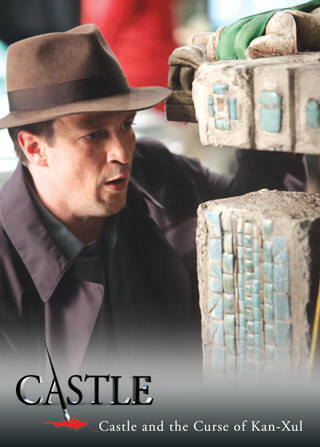 On Jan. 22, it was confirmed by The Cardboard Connection that seasons 1 and 2 of the "Castle" trading cards being released by Cryptozoic will include Nathan Fillion autograph cards. While autographed cards from some of the cast were—excuse the Castle-esque pun—always in the cards from the beginning, it was unclear if Fillion would be amongst them until now. 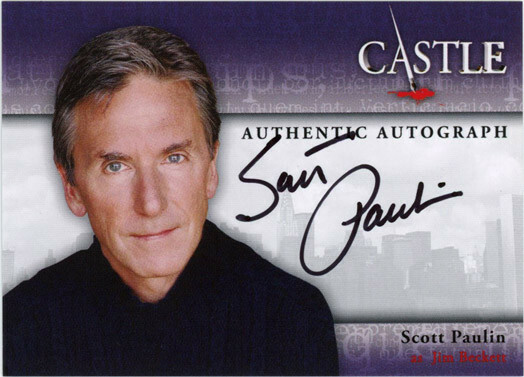 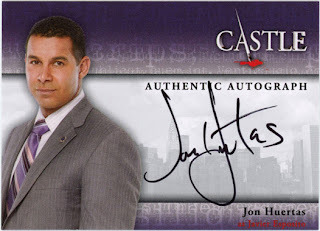 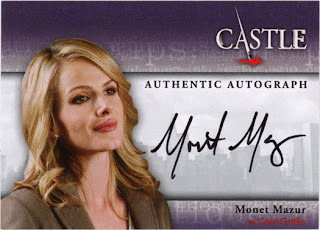 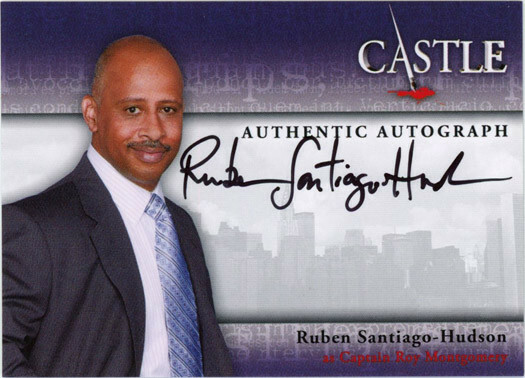 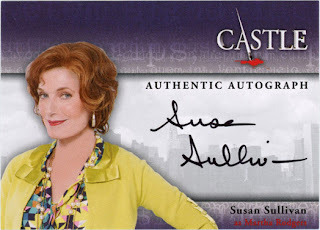 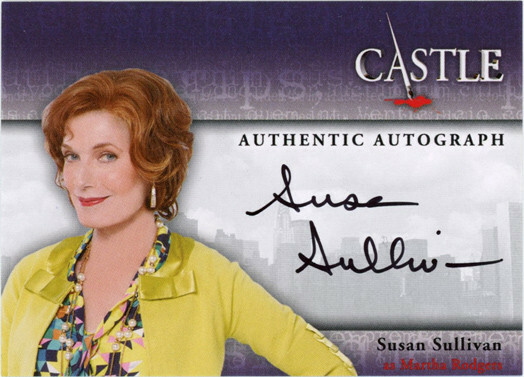 There's still no word on a Stana Katic or Molly Quinn signed card yet, but Cryptozoic currently has a confirmed list on their website of Jon Huertas, Seamus Dever, Susan Sullivan, Tamala Jones, Ruben Santiago-Hudson, Arye Gross, Scott Paulin, Juliana Dever, and Monet Mazur autograph cards. 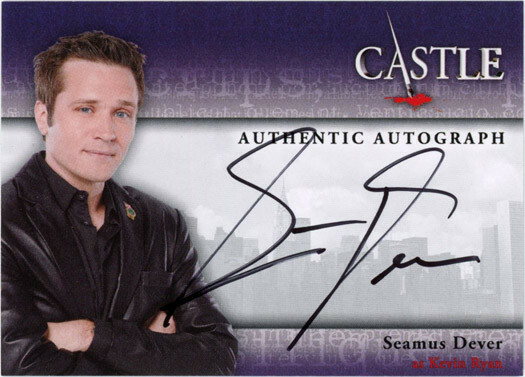 Autographed cards are said to fall one per box. 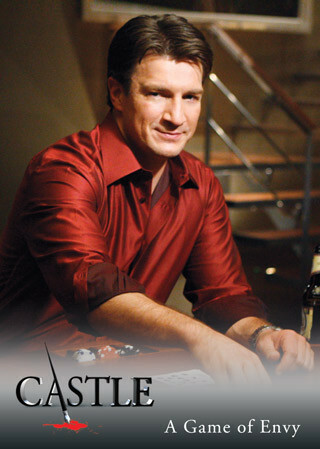 In addition to the Nathan Fillion autograph card, an over-sized Wardrobe card with all eight main characters' select costumes on it has been confirmed to be released as well. 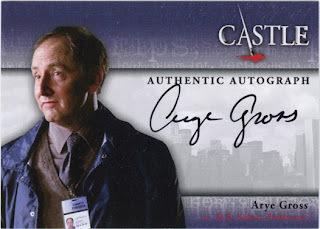 The Wardrobe card has a limited run of 25 copies, making it a very rare find indeed. 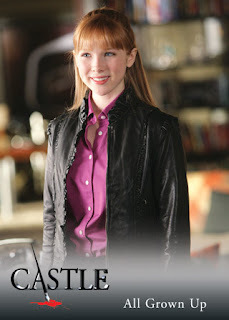 For more information on 2013 Cryptozoic Castle Seasons 1 and 2, head on over to Cryptozoic's website.The "Castle" trading cards come in 5-card packs and have an MSRP of $3.50 each. 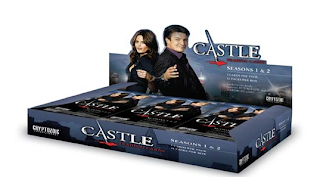 There is a 72-card Base Set of episodic images and recaps, and Chase Sets that include Scene of the Crime (1:12 packs), Character Bios (1:12 packs), and Behind the Scenes (1:12 packs).